Many iOS users prefer to back up their data to iCloud since it’s better faster, but the thing backed up to iCloud might not always be successful especially when there are problems with the network. When this occurs, the next option is to back up the data manually. In this case, iTunes will play its important role. However, iTunes is not free of flaws since there are still a number of factors that cause iTunes to fail. If you suddenly see an error message, saying that “iTunes could not backup iPhone” when attempting to back up your iPhone XS Max on your computer, there is a chance it’s due to a problem with the connection between your iPhone and your computer or due to some problems with iOS system. If not, the problem comes from iTunes or the computer itself. To walk you through how to fix the problem, we’ve listed some helpful solutions to rule out software problems on your iPhone, iTunes or your computer. Read on whenever you need some help in solving this issue. Solution 1: Reboot your iPhone and your computer. Press and hold the Power button along with one of Volume buttons simultaneously for a few seconds. When you see the Slide to Power Off command, release them and drag the slider to the right. After 1 minute, press and hold the Power button again until you see the Apple logo. Do the same with the Volume Down button. Finally, press and hold Power button and then release it when your phone restarts. Now, it’s time to restart your computer. If you’re using a Windows 10 computer, click on the Start Menu or Start button and choose Restart or Shut down from the available options. Or you can also press the Ctrl + Alt + Del keys at once and then select Sign Out or Restart. If you’re using a Mac, simply click on the Apple icon and then select Restart. You can also use the control key combos by pressing the Control + Command + Eject or Control+ Command + Power buttons to restart your Mac. Wait until both of your devices are completed rebooting, connect your iPhone to your computer and try to back up to iTunes again. If it does not work, move on to the next solutions. 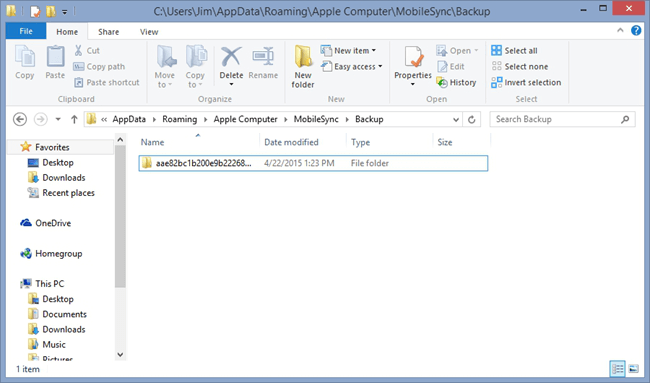 Solution 2: Rename the backup file or transfer it to another location. To clear out filename issues, you should type in another name for your backup file. There is a small chance some backups with the same filename have already existed, which cause the next backup to be invalid. You will be prompted with an error message that tells about filename issues. Simply read and review the message prompt to find out what you should do. You can also set a different path or directory to save the new backup. Sometimes, the default file path is no longer valid. Thus, you should create a new folder for your new iPhone XS Max backups. Remember to note the exact location or directory where the backup is saved so that you will not need much time to look for it later. Solution 3: Update your iPhone to the latest iOS version. Installing the latest update of the system and apps on your iPhone is another possible solution especially if the problem is related to system errors and errant apps. Updates usually embed patches to get rid of bugs and issues. 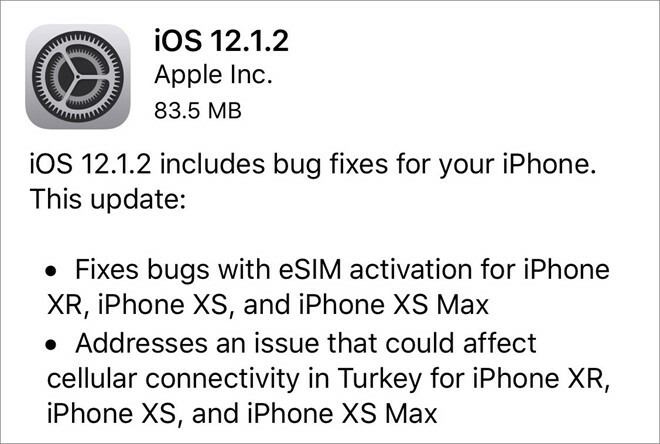 App updates also include patches to clear the app from any bugs that have caused conflicts. To check for an iOS update on your iPhone XS Max, simply head to Settings-> General-> Software Update. Next, follow the onscreen instructions to download and install the new update if it’s available. Remember to connect your iPhone to a stable Wi-Fi internet connection, prepare enough memory space, remain at least 50% battery life to install the update via over-the-air. To install pending app updates on your phone, open App Store and head to Updates section. Tap on Update button next to each app to install individual update or tap on Update All to install all updates at once. Once you install new updates, you should reboot your iPhone to apply the recent changes as well as refresh the apps. When done, try to connect your phone to iTunes again and check if the problem is already fixed. Solution 4: Disable firewall and other security software. The next possible hindrance is security software like firewall on your computer. When these programs notice s security threats when you plug your iPhone into the computer, they will usually block the access to your iOS device. So, if you have installed one, you should reconfigure it to grant the access or remove restrictions to your iPhone. If possible, you should disable the software temporarily until you complete backing up your iPhone through iTunes. Solution 5: Reinstall iTunes on your computer. The problem might come from iTunes itself. Similar to other programs, iTunes can also get corrupted and when that happens, it will stop working. In this case, you will need to delete the corrupted iTunes program and then reinstall it your computer. Uninstalling programs is different, depending on the operating system of your computer. 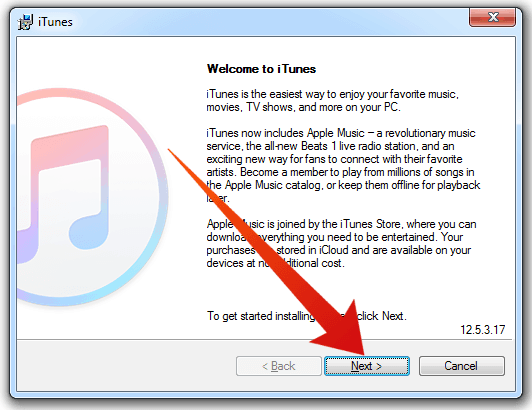 If you need more help to uninstall and reinstall iTunes on your computer, then you can contact Microsoft Support (Windows) or Apple Support (Mac) to get the entire process. Once you reinstall iTunes, reboot your computer to get rid of caches as well as refresh the operating system. After that, try connecting your iPhone XS Max to your computer using the Lightning cable.